The session, "Who Rules American Cities? : Reflections on the Contributions of G. William Domhoff to the Understanding of Urban Power Structures," is set for Friday, April 5 at 2:05 p.m. In his landmark book, Who Rules America?, first published in 1967 and frequently updated, Domhoff presents original and detailed information on how power and politics operate in the United States. A seventh edition will be published in May. The Urban Affairs Association is the international professional organization for urban scholars, researchers, and public service professionals. Its meeting begins Wednesday, April 3 and runs through Saturday at the Fairmont Hotel. 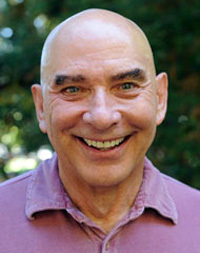 Domhoff is a pioneer UCSC faculty member, joining the campus in 1965. He retired in 1994 and has continued his research into power structures along with new research in another field, dreams. He will speak on dream research later this month during Alumni Weekend. In 2009, he co-authored The Leftmost City: Power and Progressive Politics in Santa Cruz (Westview Press). A synopsis of that book and details on his other power structure research can be found at www.whorulesamerica.net. Most recently, Domhoff has been writing on how urban power structures shaped national urban policy as one part of his new study of power in America from the 1930s to the present. His research is set to appear in The Myth of Liberal Ascendancy: Corporate Dominance From The Great Depression to the Great Recession, scheduled to be published in May by Paradigm Publishers.